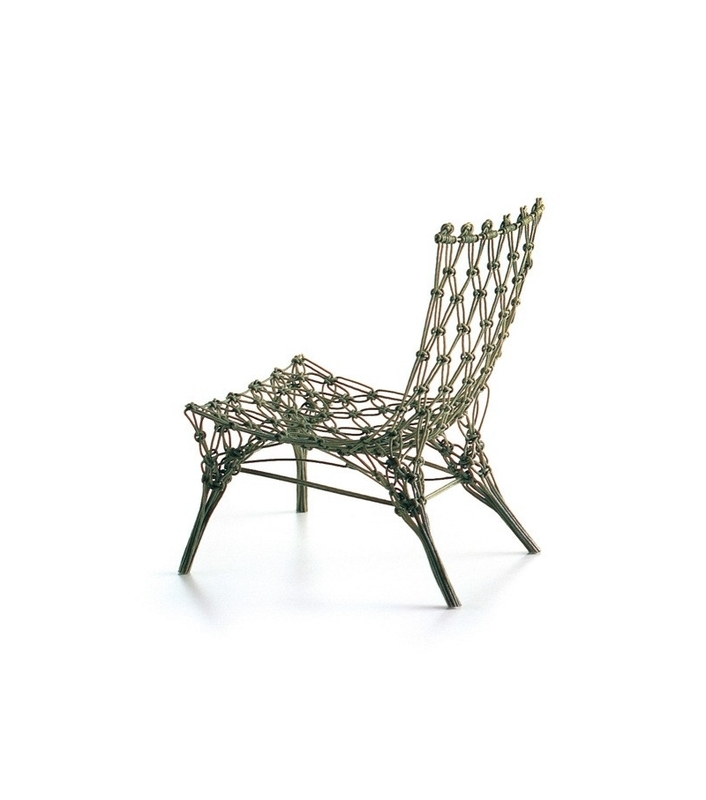 Vitra Miniature Knotted chair, Wanders: Knotted Chair is made of knotted netting soaked in artificial resin and simply hung out to dry. This produces a highly expressive seat shell which is as fragile, transparent and light as a hammock but is as solid as a seat should be. Vitra Miniature Knotted chair, Wanders: Knotted Chair is made of knotted netting soaked in artificial resin and simply hung out to dry. This produces a highly expressive seat shell which is as fragile, transparent and light as a hammock but is as solid as a seat should be. 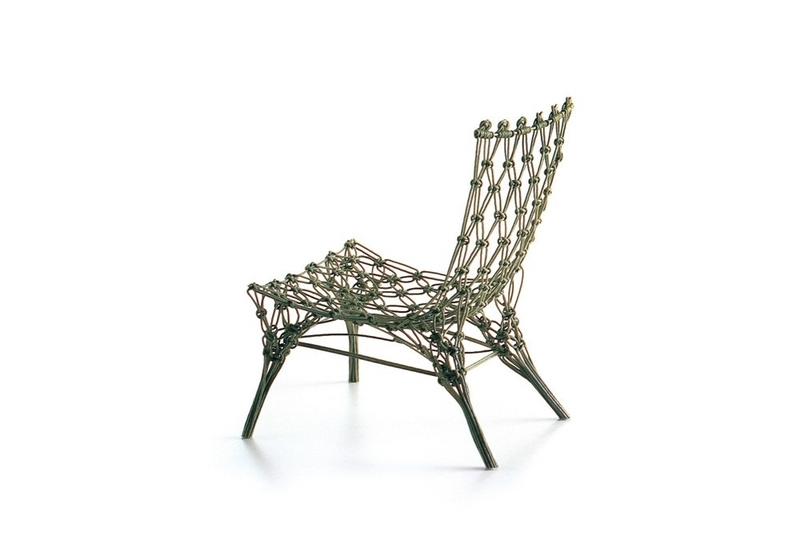 The use of simple knotted cords gives Knotted Chair that additional »warm«, personal feeling. 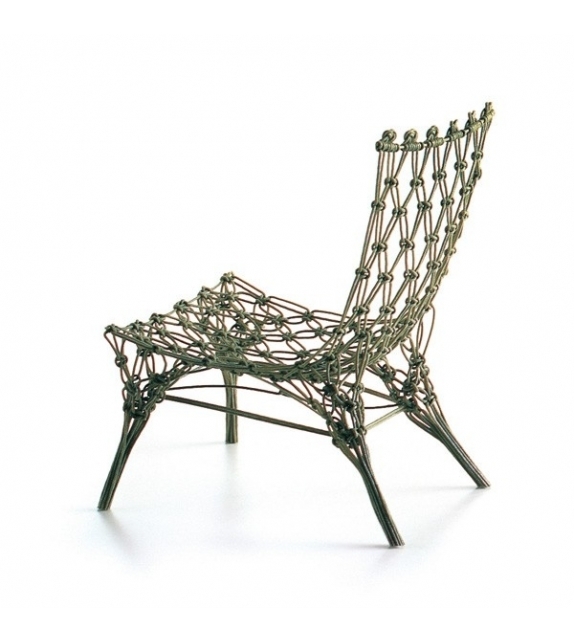 Wanders description of Knotted Chair: »The design is based on threeinnovations. Firstly, the process of hardening a textile in such a way that it can serve as a constructional element, becoming part of the structure of a three-dimensional product. Secondly, the use of knotting techniques to create curved, solid surfaces and structures. Thirdly, the manufacture of an industrial product made of plastic without resorting to a mould, but by simply making use of gravity and artificial resin as a stiffening agent. Of course these factors are decisive in determining the quality of the chair. I personally, however, I am more enthusiastic about the chair's formal appeal and the meaning its external appearance lends it. It is a chair which tells you it was made for you alone, with a great deal of love, creativity and care, a chair which thus has its own personal and individual character, a chair which shows its relationship to you by letting you see different details every time you use it. Cord, carbon fiber, resin.